The firm supports food collection and distribution initiatives in every city where it maintains an office. To mark the 20th anniversary of the Colorado Springs office, the firm sponsored a food drive with local partner Care and Share Food Bank. The organization annually distributes more than 23 million pounds of food to 286 partner agencies across 31 counties in Colorado. 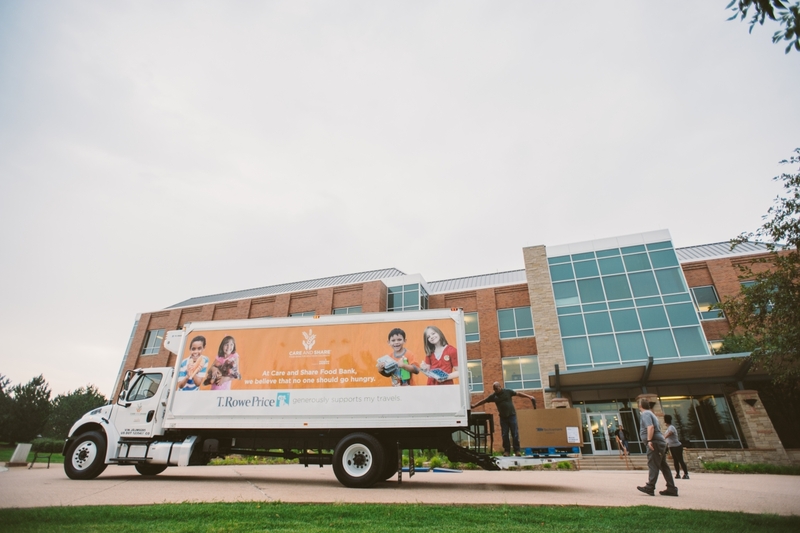 T. Rowe Price associates collected 84,000 pounds of food donations for the drive, filling a brand new T. Rowe Price-sponsored delivery truck. Food insecurity, or lack of reliable access to an adequate quantity of affordable and nutritious food, occurs in various ways. Research revealed that despite a high demand for fresh fruits and vegetables, the availability ratio of locations for residents to buy alcohol compared with fresh produce was an astounding 10 to 1 in central West Baltimore and 16 to 0 in Sandtown, another neighborhood in West Baltimore. “We heard from residents that you had to take two buses to be able to get an apple or a vegetable in that community," explains John Brothers, president of the T. Rowe Price Foundation. In response, the firm joined forces with local nonprofit No Boundaries Coalition to launch Fresh at the Avenue, a weekly produce stand at the Avenue Market made possible by $400,000 in donations (including $200,000 from T. Rowe Price), along with Strength to Love Farm Alliance, an innovative urban agriculture initiative and supplier of No Boundaries. More residents of Baltimore can now access the nutritious food they need six days of the week. The firm also uses its corporate campuses to grow fresh produce for those in need. 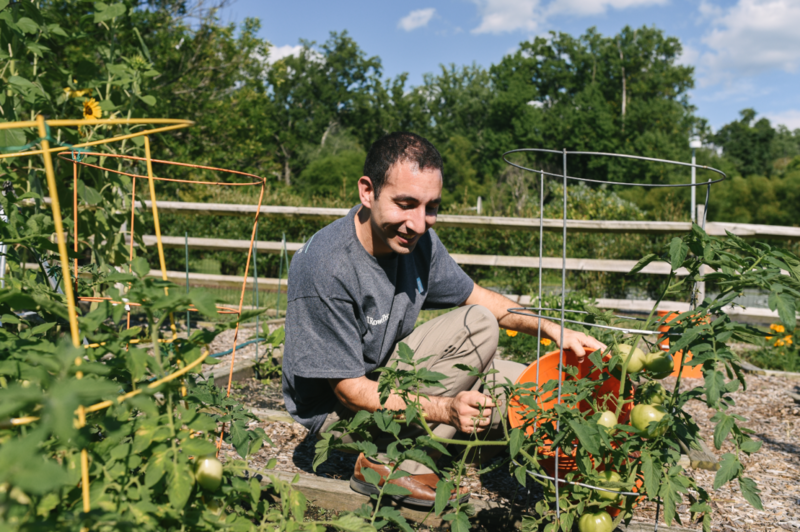 Associate volunteers in Colorado and Maryland plant, water, weed, and harvest produce throughout the growing season. Last year, the firm grew and donated 286 pounds of fresh produce. Moveable Feast, a Baltimore-based organization that delivers free medically tailored meals to community members with terminal illnesses, is another long-term partner. PRIDE @ T. Rowe Price, a business resource group for LGBTQ+ associates and allies, has contributed to Moveable Feast in various capacities. Hunger, however, is not confined by geographical boundaries. Data indicate that one in five people in the United Kingdom, including 4.5 million children, currently live below the poverty line. 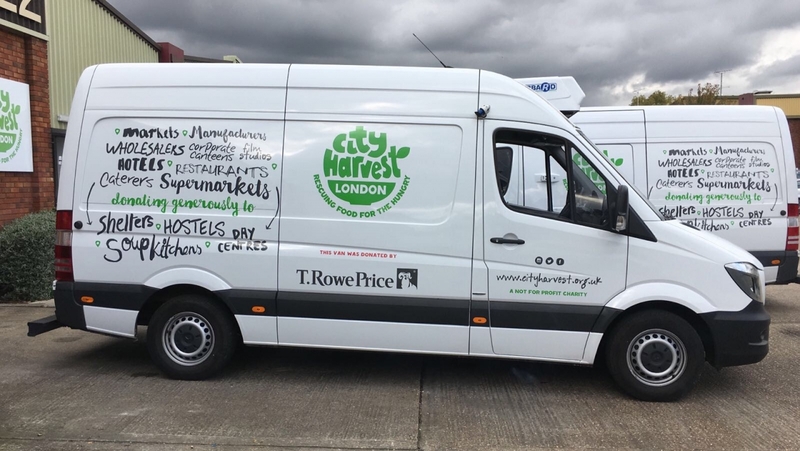 City Harvest London (CHL) combats hunger via the reduction of food waste, collecting and distributing more than 30 tons of surplus food weekly. The organization has delivered 3 million meals in London. CHL serves the working poor who find their wages insufficient for providing nourishment for themselves and their families. “We had a meeting with CHL to just find out what would be the most useful thing for them," says Dayna Ambris, senior corporate social responsibility (CSR) consultant. “The amount of food that they are delivering is increasing each year, and they really need good vehicles to make sure that they can ensure those deliveries." T. Rowe Price donated a £30,000 delivery van in 2017, and associates have volunteered in the food collection and delivery with the drivers. The funds have helped CHL feed thousands of Londoners who are facing adversity. Newham Foodbank, which has donated 1,900 kilograms of food since April 2018, is another London metropolitan area partner. "Newham has one of the highest levels of food poverty in London," explains Ambris. T. Rowe Price and the organization work together to coordinate special volunteer days such as the event in November 2018 during which nearly three dozen members of the London Fixed Income and Equity teams participated. Volunteers enthusiastically split into smaller groups to carry out a supermarket sweep, igniting a challenge to buy as many food items (from a vital needs list) as possible with an allotment of cash. Facilitated by the East London Business Alliance (ELBA), the event helped to provide 1,913 emergency food supply items to people in crisis. T. Rowe Price strives to reduce hunger on the other side of the world too. In December 2018, associate volunteers donated their time to the Groceries For Families program, which involved packing and distributing food items for low-income families throughout Singapore. The challenge of hunger reduction is connected to a vast range of social issues. Thus, Brothers reveals, T. Rowe Price also focuses on homelessness, education, and other areas. “We lock arms with communities," says Brothers.